–Pork tenderloin is just as lean as a skinless chicken breast. –It takes about eight minutes to broil, grill or saute a pork chop. –Because pork is so lean, it is important not to overcook it. –For juicy and tender pork, cook until the internal temperature reaches 160 degrees Fahrenheit, as measured with a meat thermometer. –Pork chops are America’s favorite cut of pork, and because they come from the pork loin, they are also a healthful choice. Combine the crushed crackers, cheese, pepper, salt and garlic Mix well. 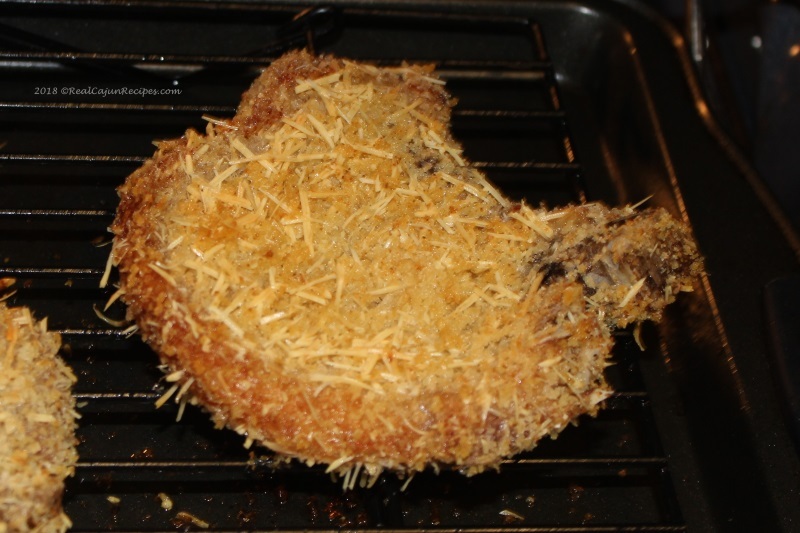 Brush the pork chops with the oil and then pressing firmly coat each pork chop with the cracker-cheese mixture. Although not necessary, the pork chops can be placed on a wire rack allowing the heat to circulate around the meat. Bake at 350 degrees for 40 minutes. if coating turns brown before check the meat for doneness.